Welcome to the July 10, 2017 edition of ACM TechNews, providing timely information for IT professionals three times a week. The Global Commission on the Stability of Cyberspace, during its first official meeting in Estonia last week, announced the establishment of a research group to shield the public Internet's core and critical infrastructure from interference by national intelligence services and other groups. The group also is tasked with proposing research to determine the public Internet core's components and what should be designated critical Internet infrastructure for the commission's purposes. In addition, the commission wants the group to serve as an "academic backbone" and contribute research in response to periodic requests. The research advisory group is being led by Sean Kanuck, a former U.S. intelligence official who worked on cyber issues for the Central Intelligence Agency, the National Security Agency, and the White House. The advisory group, which is being launched with several core members but also is seeking new ones, can pitch research proposals related to defining what the "public core of the Internet" includes, and seek funding through July 21. McGill University's Research Innovation Office, which is part of the [email protected] collective, recently completed its AI for Social Good Hackathon, marking the midpoint of its AI Summer Lab program. The project aims to promote entrepreneurship at McGill by providing opportunities for women to learn more about artificial intelligence (AI). The Lab aims to cultivate a more inclusive culture for women in AI by teaching participants about practical applications of machine learning. Several of the participants identified a variety of reasons for the persistence of gender disparity in the field, including a lack of school activities that encourage girls to study programming before college. To address this issue, the Lab created a space in which women programmers would feel more encouraged to participate than in male-dominated classrooms. The Lab has succeeded in establishing a collaborative atmosphere that is conductive to creating relationships with others in the field. Researchers at the University of Granada (UGR) in Spain have developed an artificial intelligence program that automatically detects in real time when a subject in a video draws a gun. 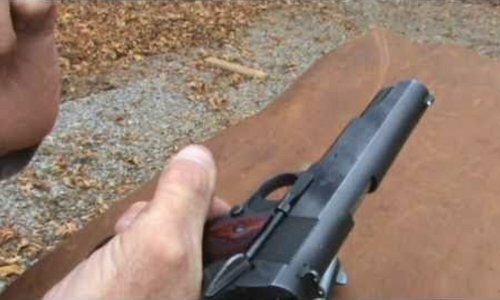 The researchers developed the model by analyzing major motion pictures and low-quality videos from YouTube in which guns get a lot of screen time. The algorithm was able to analyze five frames per second, in real time, with a 96.5-percent detection rate. UGR professor Francisco Herrera says the model could be combined with an alarm system and implemented inexpensively using video cameras and a computer with moderately high capacities. He notes this type of deep learning model represents a major breakthrough over the last five years in the detection, recognition, and classification of objects in the field of computation identification. Included in California Gov. Jerry Brown's recent signing of the 2017-2018 state budget is funding for two complementary initiatives to broaden K-12 student access to computer science (CS) coursework and instruction. One effort seeks to establish a CS strategic implementation advisory panel to encourage and develop recommendations essential to the effective and equitable deployment of CS in K-12, including how best to expand the pool of instructors to teach computer science and what additional resources might be required. The other initiative is the creation of the California Computer Science Standards Advisory Committee (CCSAC), which this fall will discuss a vision for and definition of CS to differentiate it from computer literacy, educational technology, digital citizenship, and information technology. The CCSAC must devise and reach consensus on substantive, flexible guidance to support school districts and charter schools to embed CS within their curricula so it aligns with local capacity, context, and local stakeholders' interests. Microsoft researchers in India and the U.S. are developing new machine-learning software and tools to embed artificial intelligence (AI) into tiny computer processors. The researchers say the technology could be applied to a wide range of intelligent devices, from smart soil-moisture sensors deployed for precision irrigation on remote farms to brain implants that warn users of impending seizures. The researchers' approach involves developing algorithms that compress machine-learning models trained for the cloud to run efficiently on small electronic devices, such as the Raspberry Pi 3. The team says these intelligent devices are part of the Internet of Things, although the objects are designed to be smart even in the absence of an Internet connection. The effort to embed AI within tiny devices is part of a broader initiative within Microsoft's research organization, which envisions technologies that could achieve pervasiveness a decade from now. Researchers at the Massachusetts Institute of Technology (MIT) and Stanford University have developed a new computer chip integrating carbon nanotubes and resistive random-access memory (RRAM) cells. The two are constructed vertically atop one another, yielding a dense three-dimensional computer architecture with interleaving layers of logic and memory. 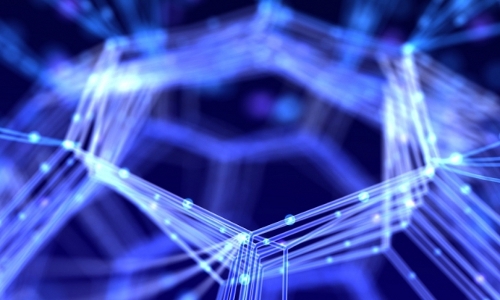 MIT professor Max Shulaker says the nanotube circuits and RRAM memory can be fabricated at temperatures below 200 degrees Celsius, and "can be built up in layers without harming the circuits beneath." 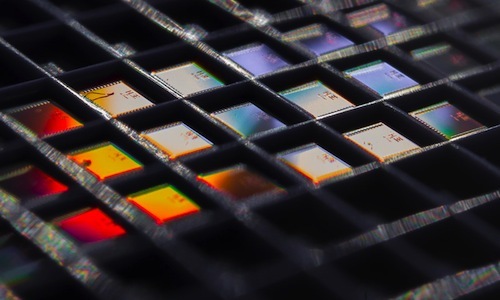 The researchers say the new chip offers logic that is an order of magnitude more energy efficient compared to silicon-fabricated logic, while RRAM can be denser, faster, and more energy efficient versus dynamic RAM. In addition, ultradense wires between the layers promise to tackle the communications bottleneck. The team's demonstration involved more than 1 million nanotube sensors on the chip's top layer, and the device measured each of the sensors in parallel, and then wrote directly into its memory. Researchers at the Swiss Federal Institute of Technology in Lausanne (EPFL) in France have developed a deep-learning algorithm that can generate melodies that imitate a given style of music. The researchers say their "deep artificial composer" (DAC) could one day generate convincing music for multiple instruments in real time. The DAC, which generates new melodies that imitate the traditional folk music of Irish or Klezmer origin, produces musical scores of melodies, symbolic music written using notation, and does not generate audio files. "The deep artificial composer can produce complete melodies, with a beginning and an end, that are completely novel and that share features that we relate to style," says EPFL researcher Florian Colombo. The system determines its own composition rules by extracting probability distributions from existing melodies using neural networks. The DAC is based on an artificial neural network, which already has proven useful for speech recognition. Researchers at the Massachusetts Institute of Technology's (MIT) Age Lab and Touchstone Evaluations are producing accurate models of people's behavior in cars, in order to shape that behavior to preserve safety. The team last week released a technique for algorithmically modeling human "attentional awareness" in the hope that auto suppliers and designers will tap it to build products that aid drivers in ensuring safety. The researchers used a database of driving behavior to investigate conditions 20 seconds prior to collisions "to see failures in attention allocation that are indicative of less awareness in the operating environment in the crash events," says MIT's Bryan Reimer. Their AttenD algorithm was tested, and determined to be good at predicting crashes based on what drivers were doing in 20 seconds beforehand. The researchers believe their work could lead to more human-friendly technology, such as a decluttering of an auto's instrument panel in situations requiring more attentional awareness. The U.S. Intelligence Advanced Research Projects Activity (IARPA) is launching the Homomorphic Encryption Computing Techniques with Overhead Reduction (HECTOR) program, which is a five-year development initiative with the potential to fundamentally change the way secure applications are written. IARPA says its chief goal with HECTOR is to develop a comprehensive framework that system architects and application developers could use to create a broad spectrum of secure distributed applications using advanced cryptographic techniques, even if they have no actual cryptographic expertise. 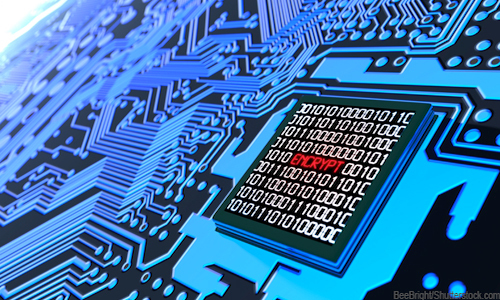 The agency says the HECTOR program will seek to accomplish this by developing a "comprehensive set" of cryptographic tools, programming languages, and design and verification tools that architects and programmers can employ to take advantage of state-of-the-art cryptography technology. IARPA also says the framework will enable developers to "to explore the space of distributed applications, and explore possible compositions of different cryptographic techniques." 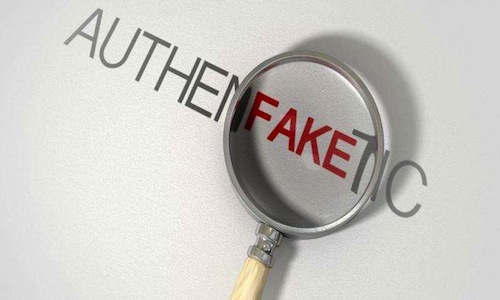 Researchers at the Jaypee University of Information Technology in India say they have developed a new method for detecting "copy-move forgery" in photographs that is more successful and faster than conventional methods. The researchers sped up the process by converting an image into its binary form, so each pixel in the image is either black or white, with black representing parts of objects in the image and white representing the background. The researchers developed an algorithm that translates each black pixel in the image into a position on a histogram. The copied parts of the image will have the same profile in the histogram as an original object in the image, appearing in the shape of a repeated "valley" in the histogram. The researchers tested the new method on more than 20 forged images of various sizes and found there is "tremendous improvement" in the computation time, especially for larger images. 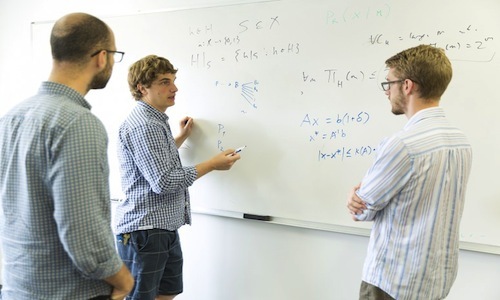 Researchers at the University of Wisconsin-Madison (UW-Madison) for the past year have been developing methods to root out bias in algorithms, which will get a boost from a $1-million U.S. National Science Foundation grant. The researchers say their FairSquare tool will not only spot bias, but also utilize automated solutions. Many corporate users of algorithms do not understand how they work and thus cannot regulate them to avoid bias. "We're trying to give people the ability to ask about behaviors of an algorithm," says UW-Madison professor Loris D'Antoni. "Does it prefer a certain gender, or certain behaviors, for example?" The team is isolating fairness as a property of an algorithm that must be formally defined and demonstrated. 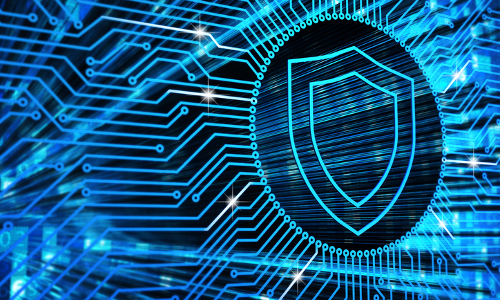 "Ultimately, we'd like this to be a regulatory tool when you're deploying an algorithm making sensitive decisions," says UW-Madison professor Aws Albarghouthi. "You can verify it's indeed fair, and then fix it if it's not." Researchers at the University of California, San Diego (UCSD) have developed a temperature sensor running on only 113 picowatts of power. The researchers say this "near-zero-power" sensor could extend the battery life of wearable or implantable devices that monitor body temperature, smart home monitoring systems, Internet of Things devices, and environmental monitoring systems. The technology also could lead to a new class of devices powered by harvesting energy from low-power sources, such as the body or the surrounding environment. "Our vision is to make wearable devices that are so unobtrusive, so invisible that users are virtually unaware that they're wearing their wearables, making them 'unawearables,'" says UCSD professor Patrick Mercier. The technology relies on minimizing power in two domains--the current source and the conversion of temperature to a digital readout. As the temperature changes, the system adapts so the temperature-dependent current source charges in the same amount of time as the fixed current source.